Students at Prior’s Field are busy, ambitious and successful. They also have a lot of fun! We created a unique, brave and powerful identity that really set this Sixth Form apart. The associated marketing material took inspiration from the visual language of products familiar to the students, such as the iPod, that they could easily relate and connect with. 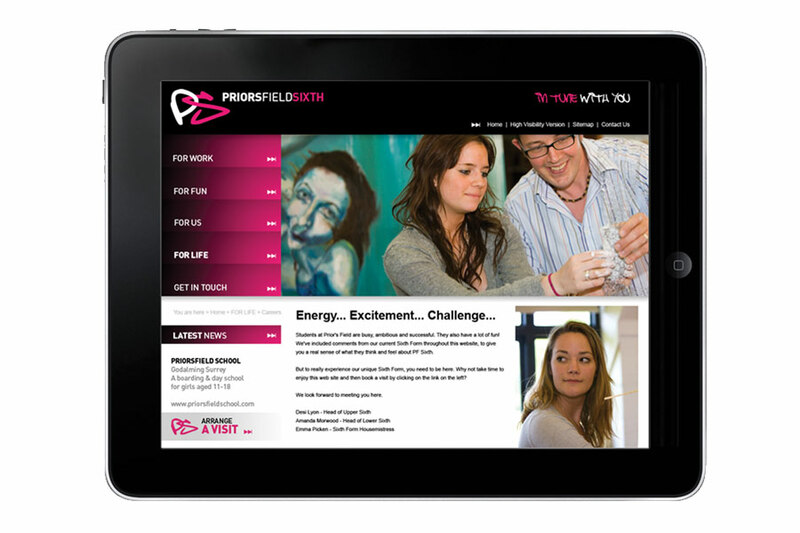 The simple website and high quality print combined to reflect the true dynamic of the Prior’s Field school community.